The White Miller was originally created to imitate an American caddis that is a night time emerger. Rib : Fine silver tinsel. Wings tied back over body in sedge style. 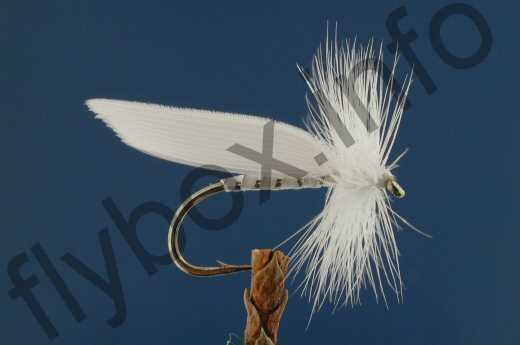 Currently there are no comments about the White Miller Sedge fly pattern from other fly fishermen yet.